It has been a while since the last review. However, we have a few new programs added to DavidNews.com monitor and I’m going to review them all this week. I will start with the review of the first program called TrafficHeap, which joined DavidNews.com Golden Stage listing 8 days ago and has been already online for 10 days. Now, I’m keeping in this program $400 and will keep you informed about the progress of payments. I would like to point out that this program looks totally different than a regular HYIP at first glance. Admin calls the program an advertising network. Of course, it’s still about investments and % of interest rates. Therefore, I will look at it and try to understand the mechanisms of this program to explain them here for you. What is TrafficHeap and is it on the HYIP monitor? 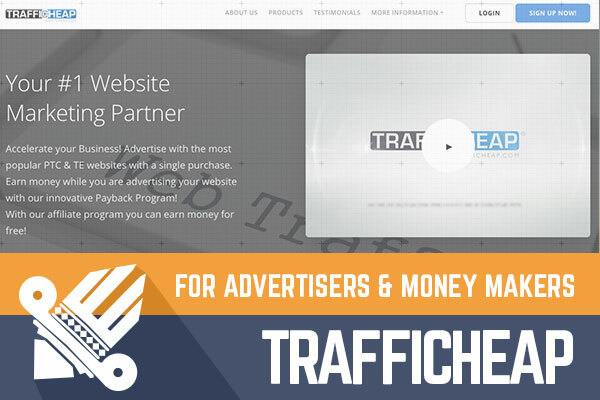 Company owners claim that TrafficHeap is an online advertising portal. Moreover, instead of investment plans, they talk about three different products: Banner Advertisement, Rotator Spot and 5 Affiliates. Basically, program admins are promising a certain level of exposure (views or clicks) for the website you would like to promote. However, let’s keep it simple and point out that products are investment plans. Moreover, there is no obligation to promote a website or do anything else if you don’t want. Now there are only two options available from three (third is coming soon), but they all have similar minimum investment fee of $50. Why so much? I will explain in the next paragraph. Interesting part about TrafficHeap is tokens, once you decide to participate, it’s all about tokens. Price for one token is $50. A potential investor can make an investment by buying advertising tokens. Therefore, every next investment step is extra $50. I believe it might be excluding some beginners who are willing to accept the risk only of small investments. For example, if you check all HYIP’s currently monitored on DadidNews.com you will notice that most programs have a minimum investment of $10 what is affordable basically for everyone, but $50 for someone might be too much even for test investment. Often there are programs offering too many different investment plans with complicated interest rates. I must admit that TrafficHeap is doing nicely by offering only one investment plan. However, on TrafficHeap the calculation of the interest rates is a bit more complicated. Well, it’s not quite unusual, but it is complicated to understand if you want to take a quick read on the website and understand what is the interest rate. 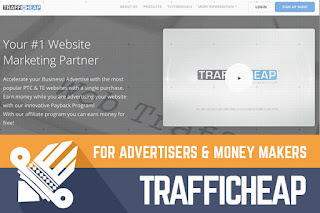 It’s changing once a day and is based on the financial performance of the advertising network. The interest rate is announced once a day and has been floating so far from 1 to 4%. Basically the interest rate will be the same and you must always buy a token worth of $50. If you want, read more about it on the FAQ page section about the Payback program. However, they mention 1% payback, which is changing. For a while, I thought that the most important information is already explained in the previous paragraphs. In fact, not at all. TrafficHeap also has an unusual mechanism of withdrawals. User can’t withdrawal all earned interest rate and part of it will be kept for reinvestment only. The way I understand it - $200 (4 tokens) investment will be active until it reaches $360. However, only $260 (from $360) I can withdraw, but the other $100 should stay in the program and can be used only for the re-investment. Minimum withdrawal amount is $1. Unfortunately, it’s hard to predict how many days it takes to have such return for the number of tokens in the given example due to floating interest rate. The program is accepting several payment options like PerfectMoney, Payeer, AdvCash, Payza and Bitcoin. Moreover, on the FAQ page, I noticed also PayPal what is not nice at all, but I believe that no member will be able to invest with PayPal anyway. Just one thing before I end – once you have activated investment plan you can activate advertising (for now just banner expositions and website promotion) if you wish. And finally I must say that this program is very complicated and it’s hard to understand what’s the potential of earning money and how much time it takes to do so. Of course, we can assume that it will have min 1% interest rate, but in this case, it doesn’t look quite interesting compared to other programs out there with smaller minimum investments and simpler investment plans. It’s one of a kind and has a unique mechanism, but it’s hard to predict the performance of it. Therefore, if you ever decide to make any investments, don’t invest more than you can afford to lose! Investment plans: Variable daily return until you reach $65 return of token plus $25 rebuy value. So I took a video of myself getting paid over $500 for participating in paid surveys.